OMG – the Line-up Begins Already! New Orleans I swear to god we just finished the mid-terms, the government is shutdown, and we’re waiting to see what it means to have a split Congress with the Republicans holding the Senate and the Democrats in the House, and now we’re seeing candidates line up to run against Donald Trump. Geez, enough already! Massachusetts Senator Elizabeth Warren announced to end 2018. Her dog was there, but I’m not sure I am. I was ready for Warren in 2016. I’ve read her books. I liked her Oklahoma background and her back story as well as her consumer effectiveness. Now, I’m meh. I didn’t like the gene test thing. It seemed like she was taking Trump-bait. I’m thinking she missed the play when the ball was coming her way. Same for Sanders. He made a great run, and his voice needs to be heard. I don’t think he can win in a race for President, and couldn’t pull the pieces together if he did. He has a role in the progressive community and could be the bridge to building an alternative party, but not from the White House. The papers claim former Vice-President Joe Biden is leading in the polls, but say it’s not so on another race, Joe. Of candidates in their sixties – or older — I think Sherrod Brown, Ohio’s 3rd term Senator, is worth a good look. He’s been a friend of labor and standup on the foreclosure crisis. Ohio is an important state still, and he continues to be reelected in a coalition that seems to work and could be useful in governing as well as campaigning. At 66, he’s right on the edge, age-wise. I’m not the one to say this perhaps, but don’t we need to beat Trump with a younger, fresher candidate? I think that might be so. It’s not Cory Booker, Senator now from New Jersey. Newark is not a campaign highlight reel in a race. He’s also too close to Wall Street and long a mouthpiece for charter schools. Best wishes, but I don’t see it. Senator Kristen Gillibrand from New York is somebody serious, but I guess I’m still “show me” there. I like her recent stuff more than her older record, and it worries me how deeply she goes progressive from such a moderate start. And, then there’s the New York thing, which sells even less well around the country than California. Still worth peeling an eye in her direction though. Beto O’Rourke is exciting, but it’s hard to see a couple of terms Congressman in the top slot. I would like to see him take the next Senate seat in Texas, and then saddle up to run in 2024 or 2028 if he maintains the same trajectory. Or, maybe squeeze into a VP slot and season some. Newly elected Senator and former Attorney General from California Kamala Harris is someone I like a lot. I read her op-ed piece in the Times about healthcare and her mother, and found it moving. I don’t know if California can go national anymore, but I’m going to watch her closely. Of course, the list of wannabes, including former New Orleans mayor Mitch Landrieu and half the US Senate and a good portion of the governors is several times this long. Even if we’re tired of it all, it’s worth keeping a scorecard early, so you know where to place your bets later, I guess. 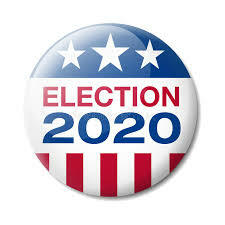 This entry was posted in Ideas and Issues and tagged Election 2020, Presidental election by Wade. Bookmark the permalink.